We've got the latest holiday cottages from "Yorkshire Cottages", which were first featured by us on the 12th September 2014. There's a good selection all around the area for you to peruse. You can see all the new cottages below. However, there is one cottage we'd like to give an extra special mention to; and that cottage is Rosemary Cottage in Pickering. 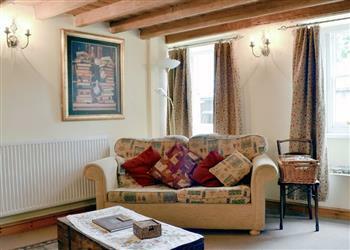 Rosemary Cottage is a holiday cottage sleeping 5 people, and can be found right opposite the steam railway station which chugs across the North York Moors. Rosemary Cottage in Pickering is also a good place to explore the area - York, Whitby and Scarborough are all within an easy drive. For the very latest in holiday cottages from "Yorkshire Cottages", have a look at our cottages which have recently been added page.